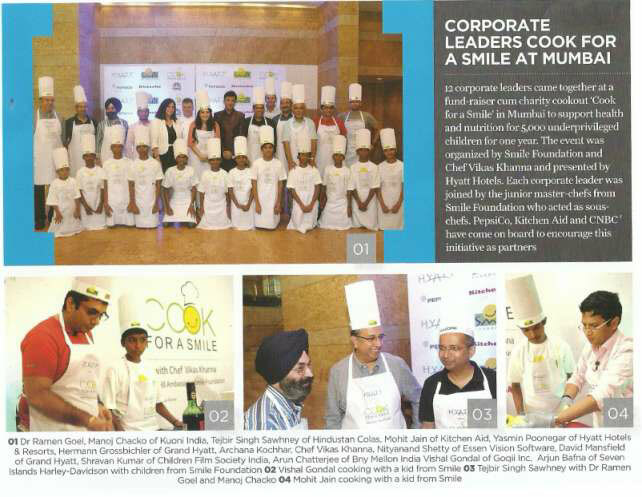 Cook for a Smile is an initiative by Smile Foundation, which brings together top corporate leaders from leading organizations together, not for a boardroom conference, but to the kitchen – to cook and put a smile on the faces of underprivileged children. By donning the chef’s toque, these personalities will be supporting the nutrition of these kids, helping them stay healthy and learn better. Cook for a Smile is also an effort to sensitize the privileged society and make it an active partner in bringing positive change in the lives of these underprivileged children. Vikas Khanna is an award winning, Michelin Starred Indian chef, restaurateur, food writer, filmmaker, humanitarian and the host of the TV Show MasterChef India. 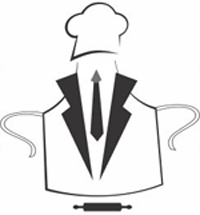 After his graduation from the prestigious Welcomgroup Graduate School of Hotel Administration, Vikas went on to train under renowned chefs of Taj Group of Hotels, Oberois, Leela Group, and many more. He has studied at the Culinary Institute of America, Cornell University and New York University and the prestigious Le Cordon Bleu, Paris. Vikas has authored several books, including “The Spice Story of India” and “Modern Indian Cooking”. On July 29, 2011, Vikas hosted dinner for the Hindu American Seva Charities Conference held at the White House organized by Anju Bhargava, who is a member of President Barack Obama's Advisory Council on Faith Based and Neighborhood Partnership. Khanna has received several awards, including the "Access to Freedom Award" in 2005 from SATH, previously awarded to George W. Bush and HRH Prince Charles, and The Shining Star Award from Just One Break, Inc. previously received by Christopher Reeve and Ray Charles. Cleo County with its Egyptian theme based design has been one of the most ambitious projects of ABA Corp, where luxury living is redefined with modern architecture, accentuated with unsurpassed quality and design. The project represents the work philosophy of ABA Corp which aims at conceptualizing the unconventional without compromising on quality. In a growing economy and a booming real estate market ABA Corp has been able to carve a niche for itself with its core focus on servicing the evolving Indian buyer. They have prioritized their needs and aspirations by creating an opportunity for the home owner to purchase not just an asset but a lifestyle of international standards. No compromises are made in presenting to the discerning home buyer an occasion to choose a lifestyle which is in sync with their personality and way of life. The 25 acres of property is home to one of its kind amenities like the first five level cascading swimming pool with a skywalk in India, a mist garden which calms and cools your senses and playgrounds for kids with seven play options to choose from designed to suit their tastes including a Mini water Theme park, a dedicated trampoline area, and sand pits for children. Cleo County offers an opportunity to live like royalty and experience the wonders of luxurious living. 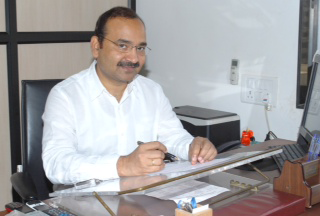 Having joined the Indian Revenue service in 1991, Shravan Kumar went on to work as Assistant / Deputy Commissioner of Income Tax in Delhi, PS to Union Minister of State for Agro and Rural Industries, Jt. / Addl. Commissioner of Income Tax in Patna and till recently as Addl. Commissioner of Income Tax, Mumbai. His posting at CFSI was a welcome appointment for him and he is looking forward to bringing about positive changes in the administrative and commercial affairs of the organisation. His objective is to reach the targeted audience in minimum amount of time with optimum resources, giving children’s cinema wider visibility within and outside the country. A student of history and anthropology with a PhD in Modern Indian History, Shravan Kumar has the cause of CFSI (of providing healthy wholesome entertainment to children) close to his heart as he is involved with education activities for rural children in Bihar through a Trust he set up in the memory of his late father. Being familiar with the dynamics of working for the welfare of children, he feels, will be of advantage in understanding the market for children’s cinema. Having graduated from Goa University with Bachelors in Mechanical Engineering, Manoj holds over 15 years of extensive work across the travel and aviation business. Prior to joining Kuoni Business Travel, Manoj ran a successful consulting practice that provided business solutions to small/midsize airlines and companies in the travel sector. He was instrumental in providing strategic guidance to multiple airlines and travel companies. 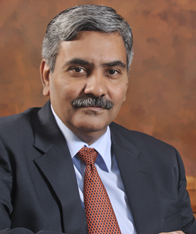 Earlier to that, he was associated with Kingfisher Airlines and was their Executive Vice President (Commercial). He has also managed strategic relationships across airlines, IATA, trade bodies, large corporate houses, travel companies, GSAs etc. In his past assignments, he has worked with renowned companies like Emirates as well as American Express, where he was their Vice President and country head for the business travel division. A charismatic leader, Manoj carries with him a deep experience in business development and a vast knowledge of travel business. 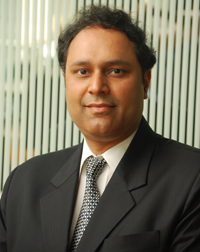 He is currently the Chief Executive Officer (CEO), Kuoni Business Travel, Kuoni India. An engineer by qualification, he started his professional career in the IT industry. Intrigued by the software scenario in India, he went on to specialize in the field of anti-virus software and thus was born Essen Vision Software Private Limited in 1995. Today, Essen Vision is a leading Network IT Security & Availability firm partnering with the world’s forerunners like Symantec, McAfee and Websense holding their privileged level partnerships & relations. With the growing security concerns over the years & customers coming back with the micro level requirements, Mr. Shetty took an initiative to break security practice internally into 6 major pillars i.e. System Security, Perimeter Security, Server Security, Data Security, Risk/Compliance, Web/Email security and built 3-tier team around them. In Nov. 2011, he was posed with the opportunity to be a part of Pebbles Restaurant. The Shetty community has always been equated with the restaurant business, so he was happy to go back to his cultural roots. ‘Pebbles’ was the first fine dine restaurant in the city to introduce IPads to the patrons of the restaurant in the true sense. He is credited with the implementation of software applications for the group’s hotels and restaurants to the extent that all information is available at the touch of the screen. Arun Chatterjee is a Vice President at BNY Mellon (The Bank of New York Mellon) based in Mumbai, and is responsible for BNY Mellon’s Depositary Receipts business in India. He has had more than 35 years’ experience in the financial services industry, primarily in commercial banking and capital markets. He has previously worked with State Bank of India and IndusInd Bank and held senior roles in retail banking, credit, marketing, technology, strategic planning and change management. Couturier Archana Kochhar has been showcasing her collection on national and international runways for over a decade now. Having revolutionized the bridal arena with her glamorous looks, Indian and contemporary silhouettes, and craftsmanship, Archana has slowly carved a niche for herself. Her global design sensibility is a perfect marriage between exquisite embroideries and nouveau texturizing techniques, which are traditionally rooted, all of these in luscious color blocked palettes. From prêt to couture, ranging from innovatively styled and draped lehengas, saris, gowns, anarkalis and also luxe ready-to-wear ranges of tunics and kaftans, Archana Kochhar, customizes each creation with zealous creativity and passion that is distinctively her own. Being one of the most sought after designers for brides and bridesgrooms all over the world, Archana Kochhar has been invited by Galleries L’fayette Paris to showcase her spectacular collections under her label with international design houses like Versace, Armani, Kenzo, Christian Lacriox, Ungaro and Nina Ricci. Archana is also one of the favorites amongst Bollywood glitterati, which includes Bipasha Basu, Sonakshi Sinha, Kangana Ranaut, Chitrangada Singh, Nargis Fakhri, Urmila Matondkar, Soha Ali Khan, Prabhu Deva, Amrita Rao, Ayesha Takia, Sunidhi Chauhan, Zeenat Aman, Zarine Khan, Mughda Godse, Dia Mirza, Jacqueline Fernandez, Raveena Tandon and Prachi Desai to name a few. David Mansfield is the General Manager of Grand Hyatt Mumbai and Area Director of Mumbai, Pune and Goa. Since January 2011, he has been overseeing the strategic and financial performance of Grand Hyatt Mumbai in leading a team of 1400 employees committed to its mission providing authentic hospitality and an experience unparalleled in India. In his additional capacity as Area Director he provides support and strategic oversight to Park Hyatt, Hyatt Regency and Hyatt brands in West India. A hospitality school graduate with a Masters of Business Administration, David has been associated with multiple Hyatt properties around the world having held General Manager positions at Hyatt Regency Kuantan Resort – Malaysia and Grand Hyatt Melbourne – Australia, before moving to India as the General Manager of Grand Hyatt Mumbai. An active member of the ANZBAI Business Networking -Mumbai Chapter and a member of the Executive Committee for Hotel Restaurant Association of West India, he has also been honored and awarded the prestigious Datoship by the HRH Sultan of the State of Pahang, Malaysia in 2010. An avid reader with a penchant for languages and photography, David Mansfield loves to indulge in sports such as Golf, Swimming and Surfing in his leisure time. 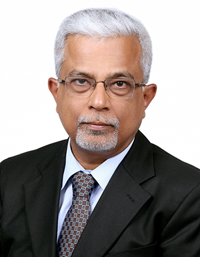 Mr. Amarendra Kulkarni is the Director of General Instruments Consortium. He has completed his graduation from Mumbai University and Masters from University of Mysore with a rank. He completed his further studies from London School of Economics. He also did his Bachelors in Law as well as Masters in law (LLM) from University of Mumbai. General Instruments Consortium was established in the year 1991 and is one of the largest and oldest manufacturing companies in India in the field of Pressure, Temperature, Level and Flow. It is a group of 5 manufacturing plants, manufacturing variety of products and having over 700 people working with the group. It has been bagging the highest exporter award from Export Engineering Promotion Council (EEPC) for the last consecutive 8 years. 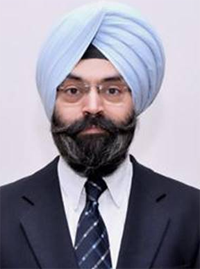 Mr. Sawhney holds a Bachelors degree in Mechanical Engineering. He has also attended Advanced Management Program at ASCI, Hyderabad & Executive Management Program from Harvard Business School. He has 30 years of rich experience in the Oil and Gas sector. He has been working with our Parent Company viz. HPCL which is India’s leading Oil Company. He joined HPCL in 1984 as an Aviation Officer. During his various assignments, he has worked at grass root level as well as in Corporate Office across various parts of India and has been in various leadership roles at HPCL. He was Head of Regional Offices at Cochin, Chandigarh and Delhi before taking up assignments of Head - Highway Retailing at HQO. After two stints in Corporate Training and Infrastructure Development at HQO, he moved to the coveted position of Zonal Head at North Central Zone of HPCL. At present, he is CEO of Hindustan Colas Ltd., a joint venture company of Hindustan Petroleum Corporation Limited - India’s premier oil refining and marketing company, and Colas SA, France – a global leader in the road construction and infrastructure development business. Ashutosh is currently responsible for the strategic areas of Education, CSR and Environment for the South Asian region as well as focusing on government relationships and engagements. Given the country’s overall development challenges, a part of his role is to support digital infrastructure to enable inclusive growth; accelerate innovation to empower entrepreneurship and creativity; and support educational transformation to build 21st century students. Additionally, he drives new strategic initiatives spanning digital inclusion and entrepreneurship for the Asia Pacific region. In his roles, he works closely with key audiences in the government, academia, industry and the community to align and manage initiatives that support the goals of inclusive and sustainable growth in South Asia. Ashutosh has been with Intel for 9.5 years. In his previous role, as Director, Strategic Education Initiatives, Intel Asia Pacific, he was responsible for the strategy and implementation of Intel® Education Programs across 14 Countries in the APAC region. He worked closely with multilateral bodies across the Asia Pacific to support the development of appropriate policies and processes for transforming education in the region. In his career spanning over 25 years, Ashutosh has worked at Microsoft Corporation, Shell India Pvt Ltd, NIIT and the National Dairy Development Board. He has had extensive experience in New Business Development, Channel Management, Strategic Planning and Policy Advocacy as well as Sales and Marketing. Ashutosh has a Bachelor’s degree in Biology from DAV College, Chandigarh and a Master’s Degree in Management from Institute of Rural Management, Anand. Mr. Hicham is currently managing all commercial related activities for passenger business on the Indian sub-continent. . He began his career in 2004 with Air France-KLM as a Trainee in the pricing department in Paris after which he held several positions in the revenue management department. In 2009, he joined the Air France-KLM Delta Alitalia joint venture group based in Amsterdam, Netherlands as an Inventory Manager for the North Atlantic routes. Thereafter he was a District Manager in Abuja, Nigeria, where he introduced a new daily Air France Flight between Paris and Abuja. Hicham brings with him over 9 years of Aviation experience. His focus has been on marketing, sales and business development, in both federal and multicultural environments. Hicham holds an Engineer’s Degree from the EMI Engineering School, Rabat, Morocco and Master of Business Administration Degree from ESSEC Business School, Paris, France. He is married and has one boy. Gulbahar Taurani has been with Philips India for the last 11 years & has worked across businesses. With a very enviable learning curve, he has had the opportunity to work across a wide range of categories from Televisions to Water Purifiers to now Kitchen Appliances & Garment Care & across functions of sales & marketing. His job has taken him all across the country & beyond giving him a rare, in-depth understanding of consumer & category. Extreme passion for his work & uncompromising result orientation define Gul & ensure that he is at work most waking hours leaving little time for much else. He is a fan of sports & time permitting, likes to follow most matches be it football, cricket or tennis. Currently, he likes to spend most of his free time with his 10 year old daughter, Aisha. 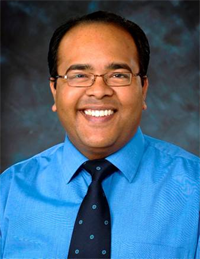 Mr. Amit Modi is the Whole Time Director of ABA Corp. heading their Cleo County project. Mr Modi has steered the Company to focus on projects in the National Capital Region, which has become the focal point of the real estate boom in the residential segment in North India. The result of this foresight has been world-class, projects like ‘Orange County’, ‘Olive County’, ‘Cherry County’, & Award Winning “Asia’s Best Theme Based Project” ‘Cleo County’, to address various segments of an aspiring home-owner. He began his journey constructing bungalows on small, 200sq yard plot from borrowed money and slowly graduated to tall structures to finally delivering mega group housing and township projects. His zeal to make the impossible possible, has been the inspiration for innovation and creativity in all of the ABA projects. Intricate landscaping that would complement the theme was his brainchild, with the highlight being the path-breaking ‘Caracalla Club’, with its upside-down design architecture. Mr. Modi continues to work closely with each of the design teams that work on ABA Corp’s various projects. His work philosophy is to never compromise on quality and to always look out for something new in design or architecture. For him the customer will always be king and he would leave no stone unturned in his endeavour to offer a product which would continue to delight the customer. A graduate from St. Xavier’s Kolkata, Mr. Modi also represents the National body of real estate developers (CREDAI), as the Vice President for Western UP and plans to invest more than Rs. 2000 crore in next 3 years towards infrastructure development and employment generation in National Capital Region, besides other pan India projects across the nation. Rajat Jain is the Managing Director of Xerox India Limited, the world's leading enterprise for business process and document management. Rajat oversees Xerox India’s business operations and is responsible for strengthening Xerox’s leadership in technology and growing the services business in the Indian Region. He leads Xerox India’s strategy implementation and business operations, including sales, marketing, customer service operations and partner relations. 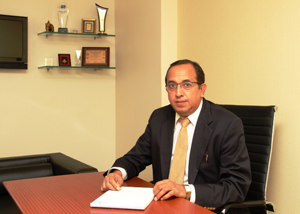 Mr. Jain has over two decades of experience across Consumer, Telecom and Media sectors. His key areas of expertise include understanding consumers across segments, building and working with high performance teams and growing businesses that revolve around brands. He holds a Postgraduate degree from IIM, Ahmedabad and an Engineering Graduate from IIT, Delhi. of Nature Bio-Foods Ltd (NBF). 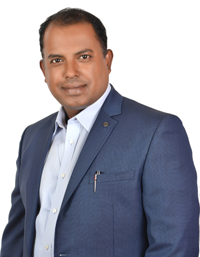 Tapan Ray is the revolutionary leader and the pioneer in organic food production, processing and export; working as MD & CEO of Nature Bio-Foods Ltd (NBF). His pioneering work in the Organic Rice and other products has benefited over 70,000 Organic farming families across India. He has dedicated more than 17 years of his life in developing successful Green Business model by integrating Organic production by the small & marginal farmers as per national & international standards and successfully exporting high quality organic products across the world. Mr. Ray joined L T group (“DAAWAT” Brand) in 2002 as the Head of the Organic Division and upgraded to CEO of NBF in 2005 and promoted to MD in 2008. Since 1998 till 2001, he worked as an accredited Auditor of IMO, Switzerland, a multinational in inspection and certifications services. He is a post graduate in Agriculture Microbiology and a Graduate in Agriculture from UAS, Bangalore. He is the President of “Fair Farming Foundation” (FFF) a registered society involved in promoting social development of small & marginal underprivileged farmers across various states in India through fair trade principles. He is the winner of FICCI CSR Award 2014 and CNBC TV18 Emerging India Award 2013. 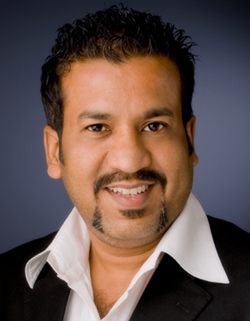 Sanjay has enjoyed a successful career of over 20 years in Internet product development, including ecommerce marketplaces, online payments, operations and trade logistics. His experience and intellect are invaluable in his role as CEO, especially at this juncture when ShopClues is poised to sprint alongside the top 5 ecommerce players in India. 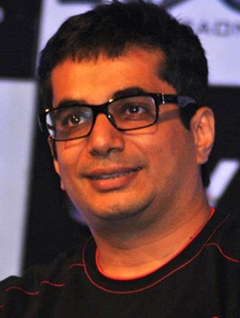 Prior to assuming the company's leadership, Sanjay was Vice President – Products and was responsible for providing the products and processes needed to create and run an efficient marketplace at ShopClues.com. His understands technology just as well as the business of retail and his exceptional insight on marketplace dynamics has made ShopClues the preferred destination for online shopping in a short span of two years. Sanjay has been the Global Product Head for Shipping & Logistics, Payments & Billing for eBay, at its headquarter in the Silicon Valley. Prior to eBay, some of companies he worked with were TradeBeam, a global trade management startup based in San Francisco and Great America Insurance in Cincinnati. Before moving to US, Sanjay worked for 5 years in India with HCL Perot Systems, IIS Infotech and Steel Authority of India Ltd. He is a graduate in technology from Indian Institute of Technology (Delhi) and Indian Institute of Technology - Banaras Hindu University. He is a voracious listener of audiobooks and is a student of astrophysics in his free time. Dr Shashi has given strategic direction to complex medical equipment management industry in India, since his inception of Clearview Healthcare and has been a key force in giving birth to ClearMedi's current shape and form, globally. Under his able leadership, ClearMedi is well poised to be a leading managed equipment services group, bringing state of art cancer care to Tier 2 and Tier3 cities in India. He is a qualified medical doctor with a Master degree in Hospital Management from Nuffield Institute of Health, Leeds UK. He has a proven track record of over 12 years in advising and consulting various NHS, private sectors and some blue chip companies in UK. He is a PRINCE2 Project Practitioner. He advised Clinicenta one of the independent sector treatment providers in UK and helped them win and execute various NHS contracts from Department of Health UK. He also guided Kingston Hospital, London on their strategy for Business Continuity and Disaster recovery and wrote a document for the Trust in this regard. The Chief Executive of TIRUN Travel Marketing, Mrs. Ratna Chadha has been at the helm of introducing various global travel products and pioneered the concept of cruise vacations in India over the past two decades. As an entrepreneur who is today an established industry veteran, Mrs. Chadha has harnessed her innate business growth abilities to change the way India vacations. Mrs. Chadha has over 35 years of experience within the travel industry, having worked with various leading travel brands during her career. An honours graduate from India’s premiere educational institute, Lady Shri Ram College, Mrs. Chadha initiated her career when she was selected as a management trainee by ITC’s Welcomgroup Hotels division in 1977, and, subsequently spent over a decade in various roles within the organisation. In 1991, Mrs. Chadha along with her husband, Mr. Gautam Chadha, established the franchise of Discover the World Marketing (DTWM) in India, representing global travel brands in the country including Hertz, US Airways, Embassy Suites, Hampton Inn Hotels, Universal Studios and subsequently Royal Caribbean Cruises Ltd. in 1993. In her initial capacity as Director of Sales and Marketing, Mrs. Chadha spearheaded the strategic development of all brands and drove all sales channels, leading to year-on-year growth and industry ‘benchmarks’ of service quality across products. By 2001, DTWM-India was rechristened as TIRUN Travel Marketing, from there on focusing exclusively on cruise vacations promoting the three cruise brands within the umbrella of Royal Caribbean Cruises Ltd. – Royal Caribbean International, Celebrity Cruises and Azamara Club Cruises. 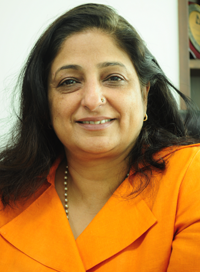 In 2012, Mrs Chadha assumed the role of Chief Executive of TIRUN Travel Marketing. In 2013, TIRUN Travel Marketing celebrated 20 years of its partnership with Royal Caribbean Cruises Ltd. in India. The success of this continued relationship and growth is a reflection of Mr. Gautam Chadha’s leadership, which is now carried forth by Mrs. Ratna Chadha and her team. TIRUN Travel Marketing is currently headquartered out of New Delhi, with a network of five proprietary offices in New Delhi, Ahmedabad, Bangalore, Chennai and Mumbai, as well as representative presence in Hyderabad and Kolkata. Avinash Venkat is the Human Resources leader for Avery Dennison's Materials Group in South Asia and Sub Saharan Africa. A Human Resources professional, with 16 years of HR experience in competitive & diverse business environments, in India, Europe & US. Appointed as the General Manager at Hyatt Regency Delhi with effect from May 25, 2013; Aseem began his hospitality career in 1989 as a Management Trainee with Holiday Inn Mumbai and in 1990 joined The Oberoi Mumbai as Catering Sales Executive. Aseem joined Hyatt in 1995 as Assistant Director of F&B at Hyatt Regency Delhi and was subsequently promoted to Director of Food and Beverage in 1997. In July 2001, Aseem was the first member of the pre - opening team of Hyatt Regency Mumbai when he was transferred as EAM -F&B and subsequently promoted to Hotel Manager in 2003. In 2005, he transferred laterally to Park Hyatt Dubai and in 2008 was promoted to General Manager at Hyatt Regency Mumbai. In addition to Aseem Kapoor's current responsibilities as General Manager of Hyatt Regency Delhi, Aseem took on the added responsibilities of Area Director for North West India with effect from 2014. The following hotels will report into this Area: Hyatt Regency Gurgaon, Hyatt Ahmedabad, Hyatt Amritsar and Hyatt Regency Ludhiana from September 2014.